OYA Blog > Interviews > Cameroon: how to find good products of care for its black skin? Cameroon: how to find good products of care for its black skin? EVERY MONTH, THE IN'OYA LABORATORY OFFERS YOU TO MEET ONE OF ITS PARTNERS AND COLLABORATORS! This month we are interested in the black beauty market in Cameroon and the healthier alternatives for all Cameroonian women. For that we went to discuss with Sophia MELEBA BENG, a Cameroonian auto-entrepreneur who tells us more about this subject. 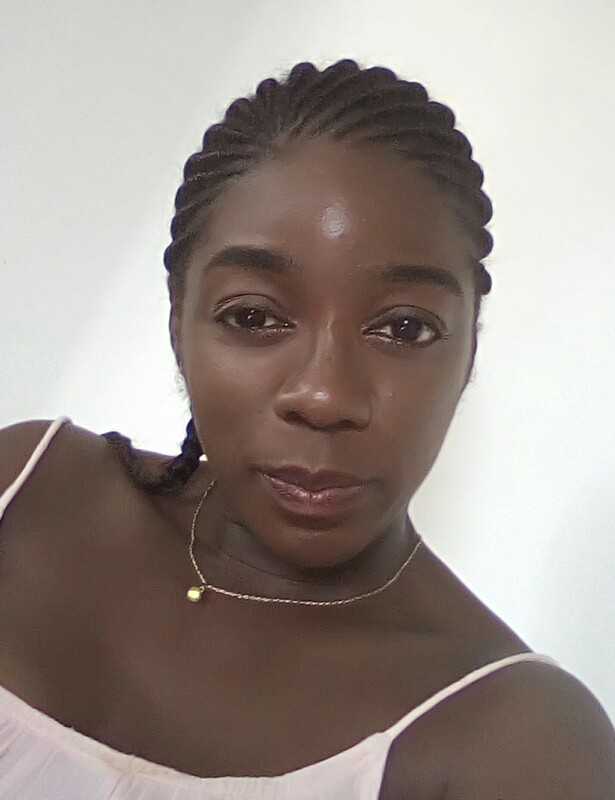 My name is Sophia MELEBA BENG, a young Cameroonian born thirty-one in Rennes. I am married and mother of two adorable little girls. After secondary and higher education in Cameroon, I completed my academic studies first at the University of Rennes and then at the University Paris DAUPHINE where I obtained a Master's degree in Information Systems Finance specialty Market. Professionally, I worked for seven years as a consultant in a Parisian office before returning to Cameroon in August 2016 to meet my family. 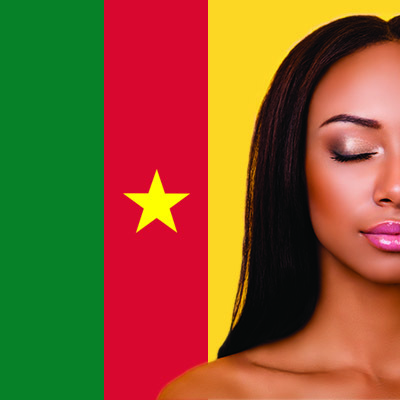 Can you tell us about the cosmetics market in Cameroon? What is generally found on the market? The Cameroonian cosmetics market is quite diversified. We find everything and unfortunately not always products of good quality, or simply without danger to health. Many perfumeries (as we call them in Cameroon) strew our markets and most often offer products from Nigeria and even Spain via Equatorial Guinea; bordering countries in Cameroon. In addition, there are also cosmetics from other countries such as France, Great Britain and the United States. Fortunately or unfortunately, this category of products is not available to the average Cameroonian consumer because dear. I can not finish without underlining that the market of cosmetics "Made In Cameroon" or even wider "Made In Africa" ​​is taking off, even if there are still efforts to be made. Recently, we have been focusing on coaching: a real need for our customers. Hence our request for technical-commercial training from you, concerning IN'OYA products and the various patents filed. The idea is to go beyond the simple recommendation of purchase but to make sure to give the customer good advice on the composition and use of the product. Our project is born from the will to propose locally quality products, adapted to the black skins and especially to the best price. Indeed, once returned to Cameroon, the finding was clear. To buy quality cosmetics, either I go to a pharmacy where I find my happiness but at cost, or I do like many people: I buy abroad and I transport to Cameroon . No sooner said than done. 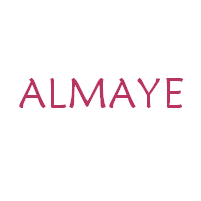 The online store in Cameroon www.almaye.com is born! What are the most common needs of black, matte and mestizo women who come to see you? • Have a radiant, luminous and unified complexion. Overall, it is often the case for most of the time to correct facial imperfections first and the body only afterwards. You will see me, you will find that a slight smile is looming on my face. That's the effect this obvious question has on me. To better understand my answer, it is important for me to tell you the following. When we go to a pharmacy, we will seek health! Finally, normally. Only the message is not always very clear to us consumers. In Cameroon, many pharmacies offer cleaners or depigmenting products. The product cover shows you a very explicit before / after. There are even "degrees of action" if I can say : going from light, strong, fast and so on. So, the fact that it is exposed in a pharmacy (this is only an example), could make the consumer understand that it is not dangerous for health. Yet, we are confronted all day long, with messages that tell us that the drug street TUE! In my humble opinion, it's disturbing. Moreover, there are people who just want to have a unified complexion without pigment spots. But if we are automatically offered cleaning products, it is problematic. Do not stop saying it, treat the pigment spots and get rid of the skin is two different things, it's two different choices. We can very well today treat his tasks without being "imposed" or not to have clearer skin. It must also be said that the coexistence between cosmetics coming from several countries with each their regulation does not help. For some brands (from Europe for example), unifying = clarifying = brightening. But this is not the case for many other products. There are many products in shops with "unifying" or "brightening" that scours the skin. All this really does not help the consumer who sometimes is in limbo and has nothing to do but rely on the advice of the saleswoman. Today, it is possible to treat its spots, to have a unified and radiant complexion without stripping the skin thanks to brands like IN'OYA. A research laboratory crowned by scientific patents filed, which provides an effective solution to this problem, ALMAYE said YES! Naturally, this is an opportunity for us to thank the entire IN'OYA team for the quality of the welcome when we contacted them for a partnership. We thank you again for agreeing to accompany us in this project and hope to see this alliance grow. The only beauty advice that for me is essential is the cleaning of the evening; and that you wear makeup or not everyday. During the day, all kinds of deposits accumulate on our skin: creams, make-up, dust particles in the air, pollution, and inevitably bacteria! It is therefore very important to clean your face every night before going to bed. Use preferably a mild product that will cleanse your skin without attacking or drying it. If you have very sensitive skin, think of micellar waters. It is very practical and above all it is sweet. The skin is renewed during the night, so it is better that she is in top form to be the most beautiful wake up.